Embattled former and current employees are emerging to tell their stories of how they have been allegedly abused by Chris Giannakopoulos. 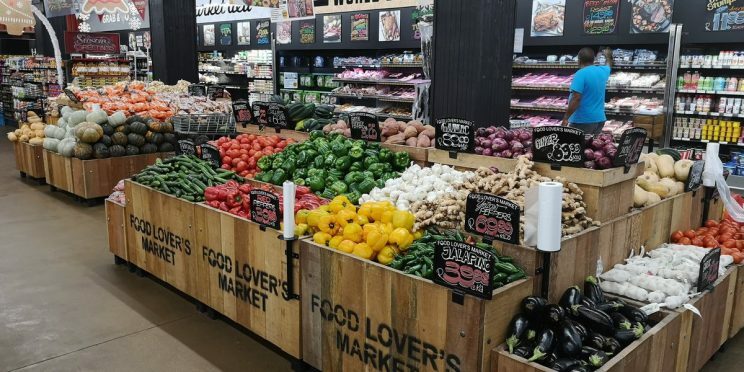 Chris Giannakopoulos, owner of Sediba Plaza Spar and Food Lovers Market in Hartebeespoort is expected to appear in the Pretoria Magistrate’s Court on Monday. This follows accusations of assault from a male employee, who claims that Giannakopoulos beat him with a wooden pallet in August 2018, resulting in various injuries all over his body. It was only after a female employee, who was also allegedly beaten and verbally abused by Giannakopoulos in October 2018 at a Food Lovers Market, opened a case of common assault and media began to report on the abuse that the male employee approached the Hartebeespoort Community Development Initiative (HCDI) for assistance. The male employee worked at one of Giannakopoulos’s Spar stores in Montana, Pretoria. He has now joined a long list of names alleging that Giannakopoulos has treated his employees extremely badly. After the case was opened by the victim, 26-year-old Memory Mupundu, more instances of abuse began to emerge. According to Mupundu, who worked as an office lady in the cash office of the Food Lovers Market, Giannakopoulos arrived at the store at about 07h00 in one of his reportedly fear-triggering moods, and burst into a loud and verbally abusive rant at staff members who were on duty, she told Komorant in October last year. “Chris entered the store and began shouting and swearing at everybody complaining about how dirty the store was. This was despite the fact that the cashiers, who double up as cleaners, were still busy cleaning the store before it opened at 08h00. He was verbally abusive to everyone, calling staff members all sorts of names and just generally being rude and disrespectful. “He also dished out ‘absents’ to everyone. An ‘absent’ is basically a form of punishment where staff members report to work but do not get paid for that day. When he came into the cash office with two store managers, he asked me why I was not cleaning with [the] others. My job is to prepare the float for the cashiers before the shop opens and that is what I was doing when he entered. I did not respond to his first question. He then looked at the float that I was counting and asked me what I was doing. I responded that I was preparing the float for the cashiers as per instruction from one of the store managers. “It was at this point that in a fit of rage and with no warning or provocation, Chris unexpectedly hit me very hard on the left side of my head using his fist. I had not done or said anything to warrant his attack on me. He swore at me and called me a b***h, a motherf****r, an idiot and various other names. “I started crying because the physical pain was unbearable, plus I could not believe that my boss had just assaulted me in that manner. I was terrified and in shock. Chris then stormed out of the cash office, followed by the male store manager, and I remained behind with the female store manager who tried to comfort me. The left side of my head was throbbing and I could not hear anything for a while with my left ear,” she said. Another former employee from Spar Sediba Plaza recounted how she and two other female employees were subjected to a polygraph test after they reported to Giannakopoulos that they were being sexually harassed by one of his managers. The employee explained how she had been told to take a polygraph test to prove whether she and her two colleagues had lied about the sexual harassment in an attempt to cover up their intentions to steal from the store. All three failed the test and were immediately dismissed by Giannakopoulos. Another former female employee recounted how in one incident she had been asked by Giannakopoulos to carry a heavy box. When she informed him that the box was too heavy for her to carry alone, he was quick to allegedly boisterously shout how strange it was that she could not manage to lift a box yet she had the energy for a sexual encounter with two men. Yet another female employee related how she was given an ‘absent’ for simply not wearing her name tag to work. Former and current employees who have been involved with Giannakopoulos claimed in a statement released on Thursday that he regularly inflicts verbal abuse, does not issue employment contracts or payslips for employees, and only paying employees R100 for a 14 to 15 hour work day. It is further allegedly in the statement that Giannakopoulos owns various Spar franchises, including the Sediba Plaza Spar and various Food Lovers Markets, and that his verbal abuse claims are fairly regular.